​Established in 2008 New York Academy of Ballet opened in the heart of Poughkeepsie, just steps away from the historic Bardavon Opera House. NYAB is a small women owned business opened by Artistic Advisor Susan Olson Santoro, her mission was to create a school that celebrated the joy of dance and to properly educate children in the art of dance. Our focus is on classical ballet. Our mission is to educate children in proper ballet technique as well as other forms of dance, teaching them discipline for the art and respect for others. We believe in a nurturing environment that allows all dancers to flourish and explore their artistry whether they want a career in dance or a career in business. A good dance education can teach focus, discipline, a hard work ethic, and respect which students can carry with them for a lifetime. We offer a professional faculty, all with a professional background in dance (Martha Graham, American Ballet Theatre, BFA Dance, Vassar Faculty). Our year culminates with a professionally produced performance at the Bardavon Opera House. Classes offered in ballet, pointe, modern, jazz, hip-hop, and contemporary. 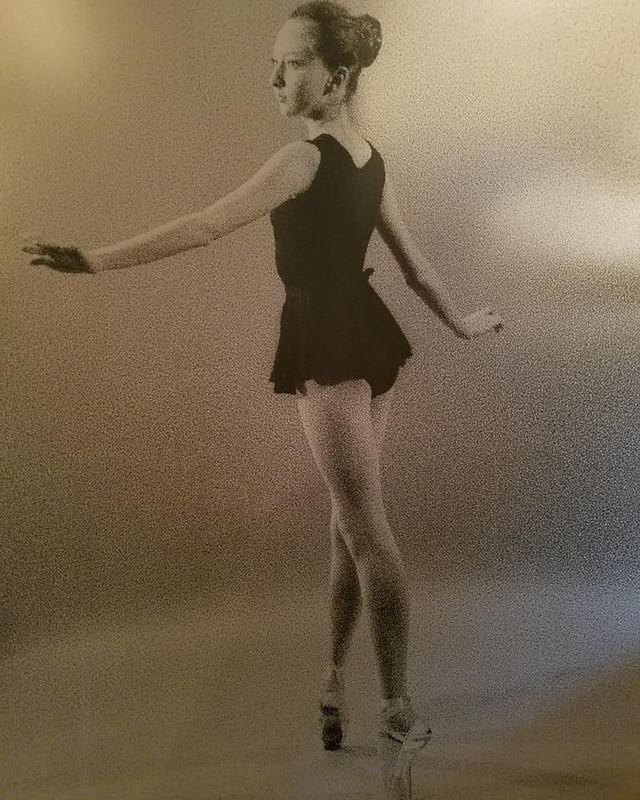 *pictured above; Artistic Advisor, Susan Olson Santoro at age 12 when she was studying at School of American Ballet. to foster a deep passion for the love of dance. To dance for joy is to dance from the depths of your soul. Our approach is to coach our students in discovering for themselves how their bodies relate to ballet technique, and then as they mature, to help them grow technically by "feeling the dance" from within. Our children's classes go slowly and allow plenty of time for imagination and exploration, even as the children are mastering basic concepts. For the older student, we continue to emphasize understanding technique so that safe work habits, personal responsibility, and concentration become second nature. The outcome of this approach is that our older students acquire the tools of mind and body they will need to not only become professional dancers or lifelong friends of the arts, but to foster self-esteem, self-discipline and a higher level of fitness that provides a powerful edge in any future endeavor. Develop well-disciplined, intelligent, graceful-bodied and physically fit young people who may go on to professional careers in dance or may choose to apply their dance education in other fields. Direct each student towards a path of excellence in life. Mentor talent and encourage professional development. Encourage respect for others and the ability to work collaboratively as a team. Provide community service and leadership training through participation in outreach programs. Develop a lifelong friendship with the arts. Nurture the mind, the body, and the soul through dance education. What does a dance education offer a child? Dance training develops discipline, concentration, alertness and body control, which aids in scholastic endeavors and personal growth. Carriage, body lines, coordination, grace, style, technique and artistry are some of the benefits a dance education can bring. Experienced teachers. All teachers at NYAB are former professional dancers trained at prestigious schools including School of American Ballet (the official school of New York City Ballet), American Ballet Theatre, or hold a BFA degree in dance. All faculty members are committed to our philosophy of dance education and to helping students achieve their best. Academy standards for teaching, emphasis on curious and respectful behavior in class, and dress code enforced. Structured children's dance syllabus that is result oriented and taught with joy and enthusiasm. Professional studio space including a 1,400 sq. ft. sprung floor with Harlequin Studio Marley, which helps to reduce fatigue and prevent injuries. Central city of Poughkeepsie location, steps away from the Historical Bardavon Opera House. Customer Services - front desk staff is available to provide assistance.